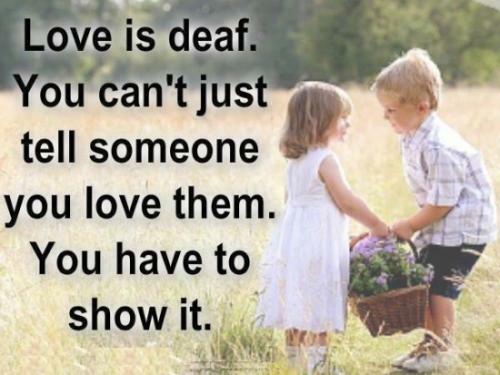 Love is deaf. You can’t just tell someone you love them. You have to show it.